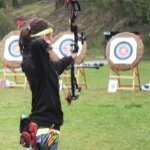 I enjoyed reading the basic archery steps. I learned many items I never considered. But I would prefer to see photos of each step or even video. Comments for More Photos Please! Thank you for the input. We are definitely going to add more photos to the website, plus a lot of learning videos. Takes time though. We hope the basic steps helped you get started. Join in and write your own page! It's easy to do. How? 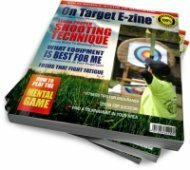 Simply click here to return to S2-00 Basic Archery.